I must be dragged through mud before I see my flower bloom. So I’m starting this little thing, lol. I don’t know what to call it yet. But in light of all the negativity that has been surrounding us lately, I think it’s important to constantly surround ourselves with positive words, thoughts and people. There’s this thing women do … specifically black women. I hate it. We live in a world where the black woman is constantly mistreated. We are unheard. Abused. Considered the low of the low. And when we speak out about the injustices that we face, we are deemed angry, aggressive, unruly and (my favorite) ghetto/ratchet .. when really we are just indignant and tired. That’s why I hate it. 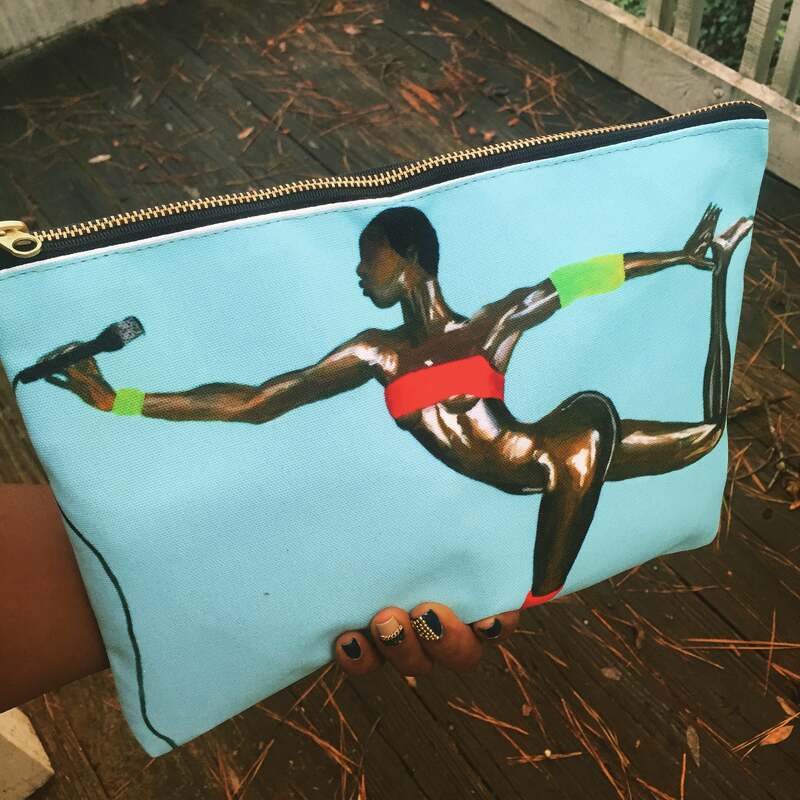 I HATE when women – women of color, my sisters talk down to and judge other sisters. It does something to me. Pisses me off on a whole other level. Sometime last week, a young idiot on twitter decided to post this picture along with a caption that read “Ladies, line up in order from Chill to Petty”. To which he received many wonderful RT’s that included things like ” Line up in order from independent to child supportive” and “Line up in order from highest to lowest GPA” among others. All I could think at that moment was ‘wow’. A black man sending out that tweet. I mean, it’s sad to say but sometimes it doesn’t seem that the black man is on our side. Then I had to change my point of view and I narrowed it down to age and ignorance because well he is young and clearly has much growing up to do. So what does that have to do with us, black women? Well, I took to FB and I was insanely close to calling out (some) black men for their lack of respect and for demeaning black woman for the exact thing that they praise white women for … until I saw a dark skinned woman repost the picture. Instead of firing rage at the young man that posted this disgusting picture and calling black woman to stand together, her comment was something along the lines of “All light skinned women think they’re better when really they are just submissive and uneducated because they don’t need to be. They get a pass because of their skin color and they don’t know the ‘real’ struggle of being a black woman”. I was truly amazed. I was even more amazed as I saw the comments under the post. I mean, dark skinned woman, light skinned, brown skinned, yellow, purple and blue … all these woman were angry with each other and I was insanely confused and entirely appalled. After seeing that post, I remembered a conversation I had with someone (let’s call her Erica). Erica, my younger brother and myself were having a conversation about my brothers ‘relationships’. My younger brother stated that he would never date a dark skinned woman, to which I looked at him and his dark skin, thought about his mother and her dark skin and asked if he was stupid before asking him why not. He stated that he just didn’t want anyone dark. As I tried to explain to his young, ignorant, 16 year old mind how ridiculous he sounded spewing self hate, Erica stated that she defended my brother. She continued on to say that her son could never bring someone that is “too dark” home and I had to look at her like she was insane. The hate that we black woman share for one another is disgusting. (SOME) Light skin women denying their blackness and feeling as though they are better than others. (SOME) Dark skin women hating light skin women who are on their side and denying them the right to their blackness. And it’s more than just the fight between skin tones. Sometimes, I’ll see black women nit picking at anything that her sister does. “Natural vs Perms”, “Casual Dressing vs Mini Skirts”, “Hoes vs Wife Material”. I mean it’s repulsive. To hear my sisters, black women constantly belittle and judge each other. Especially when we have so much working against us. It’s clear that I am a ‘high yellow’ light skin chick. I get that. I also get that because of colorism in our culture sometimes I am ‘favored’ more than my darker skin sisters. But, I try to change that. For this present, and the future. I try to empower all woman of color because at the end of the day my fight is your fight and your fight is mine. 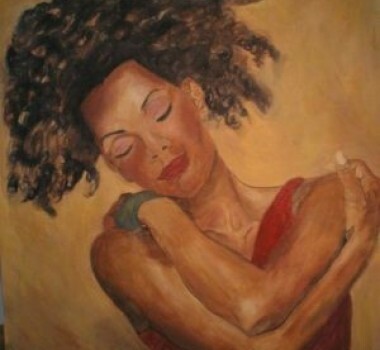 We all have different experiences being a black woman but that doesn’t mean anyone’s story is inferior to anyone elses. How can we expect to overcome the Donald Trumps in the world if we keep holding ourselves back. There’s this constant battle between who is better than who and all I keep wondering is why the hell can’t we all be great. Praise our strengths and where we come from, acknowledge our faults and learn from them while banding together to become stronger than any of our persecutors ever imagined. We are bigger than the fight that was created for us. We are bigger than this systematic oppression they have laid in front of our faces. It was said over 300 years ago that the way to keep the black race down was to create a division within. That is was colorism is. Pinning us against one another. And in a time where we have white women preaching feminism that doesn’t account for us, in a time where non black women want to be black and steal our culture without knowing our struggles and giving us credit, in a time where a white mans only use for a black woman is to sexualize and fetishize us, in a time where many black men don’t appreciate us, I challenge you to uplift your sister and not help in holding her back. So, what I’m trying to say is … who gonna have our backs if we don’t have it? Visit The Wrap Life . Out of Brooklyn, NY, Nnenna Stella offers a variety of beautiful hand printed African inspired head wraps among other things. This business offers a wrap that is for fashion and protective styling. Two in one! 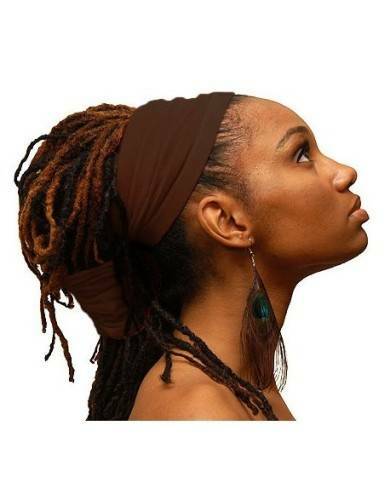 Made with locs in mind, it has now been adapted to wear with any style, length or texture of hair. Kashmir Thompson’s giant selection offers everything from clutches, t-shirts to even coasters. Created in 2014, this website features hats and sweatshirts (among other things) and was made so that we could un-apologetically love our blackness. Lol, how could you not want to support that? This website features phone cases, coffee mugs, totes and of course t-shirts. All of these items are accented with popular terms and catch phrases from the hip-hop community, black culture and just everyday life. A 14 year old from Memphis is the CEO of Mo’s Bows hand made bow ties. He realized his love for fashion and at the age of 9 started his own company. I think we should all take the time out to re-evaluate our lives because this kid is amazing, lol! 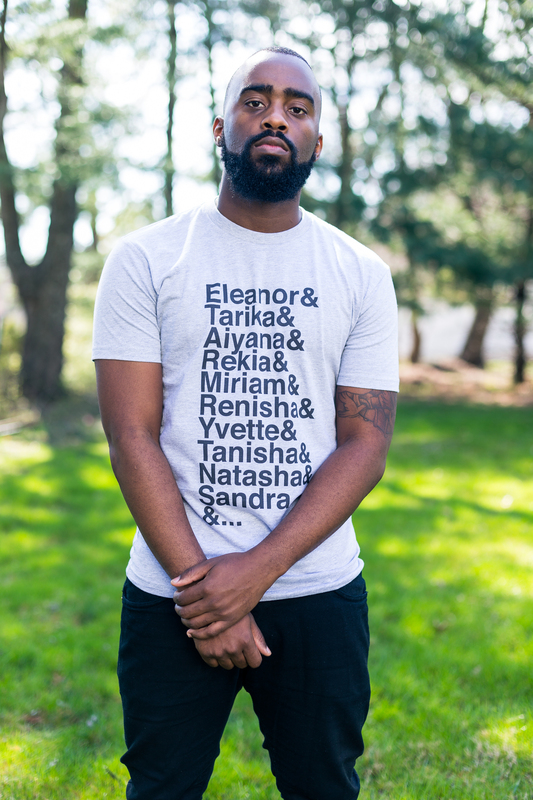 This website features the names of our brothers and sisters that have been victims of police brutality, unfair justice system and unjustified killings on t-shirts. It’s a beautiful way to pay homage to those who are no longer with us. To all my brothers and sisters that are interested in using all natural products, this is for you! Developed in 2010 by Janell Stephens, Camille Rose Naturals is dedicated to providing hair care as well as beauty care products that are natural and hand made. This website features a variety of beautiful lipsticks. Besides the amazing price, I love that they use natural ingredients such as jojoba oil and shea butter in their products. CEO Keyshia Ka’oir offers a make up line that has the most radiant and beautiful lipsticks. Her website also features lashes, and nail products. 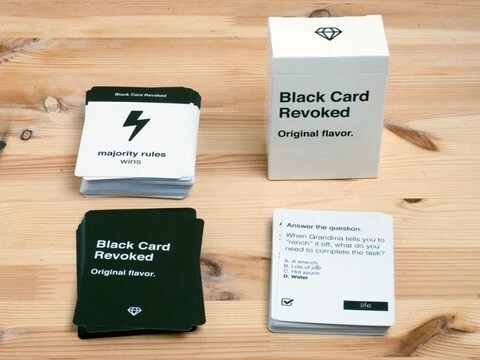 Reminiscent of the popular game ‘Cards Against Humanity’, Cards For All People challenges your knowledge about black culture. Now what kind of person would I be if I didn’t feature myself in this list of black businesses to shop from, lol! 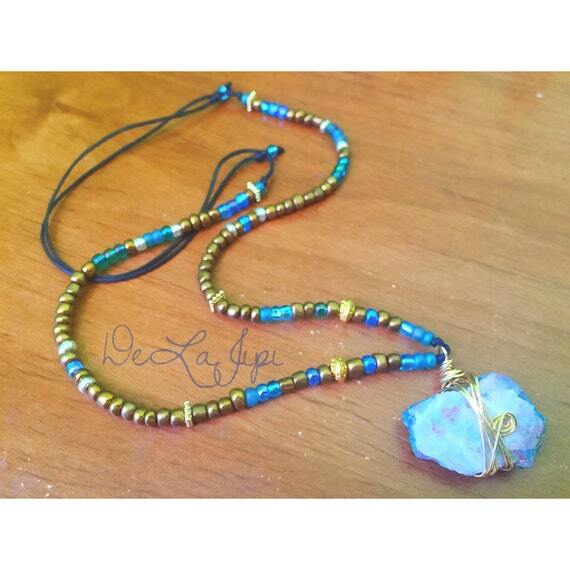 I am very much inspired by bohemian culture and incorporate a variety of healing stones in my designs. It’s been exactly a week since I got back from my two week vacation. The second (and sadly) last stop on my trip was San Juan, Puerto Rico. Let me just start by saying that Puerto Rico was BEAUTIFUL. Anyways, my friends and I headed out Thursday afternoon (a day before Frenchies birthday). The ride was long but smooth and being that airplanes aren’t my favorite thing in the world, I was very grateful for that. We got to PR later that night and thankfully we didn’t waste much time because the hotel/apartment complex that we were staying in was less than 10 minutes away from the airport. Sidebar| We rented an apartment at the ESJ Towers. It was nice. Microwave, stove, fridge, beautiful bathroom and a balcony .. however for the 5 of us it was a bit small in my opinion. However, I did appreciate the location of ESJ Towers. It was in the middle of everything, we had a mini mart, a supermarket, rental car service, taxis and tons of places to get food surrounding us. Being that we arrived in the evening, we went straight to getting ready to go out for Frenchies birthday. She decided on going to Club Brava which is supposedly a main tourist attraction in the San Juan area. I’ll be honest though, Club Brava wasn’t my favorite. Being that it was my first time in Puerto Rico, I really would have liked to hear more Salsa, Reggaeton, Bachata, etc. but instead we heard EDM, EDM and more EDM. On top of that, I’m all down for drunk people, having a good time but when 80% of the party are belligerent .. it’s kind of annoying. I knew it was a tourist attraction but online reviews of this club stated that many locals frequented this club as well … although it didn’t seem like it, AT ALL. To top things off, one of my friends and I had drinks spilled on us .. so you know we were OVER IT, lol. The next day we headed to a Snorkeling and Picnic event in Fajardo. The birthday girl decided not to come and treat herself to a Spa Day and some alone time while the rest of us decided to rent a car and have a mini road trip. I had never been snorkeling before so being in the middle of the ocean, looking for fish is not something I was excited about. On top of that the weather wasn’t the best with the on/off again rain but turns out that I had an amazing time and it truly was an amazing experience. Everyone made us feel comfortable, the food was good and there was lots of laughs. Oh! and unlimited Rum Punch, you can’t go wrong with that .. can you? That night while Bianca and Justine opted to stay in, Zoe, French and I went to La Placita. It was a little neighborhood filled with clubs, bars, stores, people having a good time and tons of nightlife. I definitely enjoyed the club scene more in La Placita than I did at Club Brava. Especially because I heard a variety of music – mission complete! Lol. Then it happened. I got sick. Too sick to get out of bed. Yupp, that sick. So the next day, I was bed ridden while my friends enjoyed Old San Juan and I was jealous. The following day, I was ecstatic when my friends told me that they enjoyed Old San Juan so much that they had to go back <3. Seems like the day that I was sick, my friends just bar hopped and met some locals which was okay with me because that meant I got to be there when we really explored Old San Juan (yasssss) ! We visited Plaza de Armas de San Cristobal and basically got a mini history lesson involving the ancient beauty of Puerto Rico. I don’t know about my friends or maybe I’m a special kind of nerd (lol) but I really did enjoy learning about the historical past of PR. Especially learning about their involved with the Panama Canal and the rest of the Caribbean. Good stuff! Following that, I finally got (what felt like) a real taste of Puerto Rican food from a little restaurant and bar called Palmas. Yes! Walking through that alley (which we had to go through to get to the restaurant) filled with people laughing and dancing and just enjoying themselves .. I loved it! I wanted to dance Salsa with abuelo. Lol, I need to become more courageous! It felt like we were REALLY in Puerto Rico at that very moment. Definitely a trip highlight. Then my friends decided that they wanted to go back to the bar from the previous night aka my sick night (lol) and I was down for the adventure. It was definitely good vibes there too. The name of that bar was Blessed Cafe and it was a Jamaican owned bar .. so you know I was excited, especially when I got there and saw pictures of Bob Marley everywhere! That entire night was good vibes. We laughed, joked around, drank and hung out with the locals that my friends met the night before. We even took a trip into the ‘ghetto’ and of course I have no pictures of that lol – not when we were warned not to take our phones out >_<. That day/night was my favorite. The last day was pretty chilled. We spent the day joking around and listening to music by the pool we had just discovered. Yea, we stayed there for days without knowing they had a pool, lol. But it was well worth the wait, because I did enjoy the simplicity of that day. Then before we knew it …. the day turned to night and back to day .. specifically 5:30 am and we had to get up and head back to New York lol. And just like that our time on the beautiful island was over .. and when we got back to New York it was 60 degrees and raining. Fun right? Nevertheless, Puerto Rico was breathtaking … literally a breath of fresh air and I can’t wait to visit again! Love is a feeling – truth. You can experience love by simply loving yourself – truth. You can also experience love by loving someone else – truth. Some people feel unfulfilled unless they find love from a significant other or family member or friend – truth. However, the truth is also that we don’t need the love of another to experience true love but many fail to realize that. I mean at one point, I failed to realize that. For the most part, my friends and I have what many would call “daddy issues”. We would talk about how our fathers continuously disappointed us and weren’t really there for us growing up as we would have liked. Although none of us ever said it, the feeling that penetrated the room as we spoke of our fathers was heavy. We were sad, hurt and feeling unworthy of love. And that’s just an example, it could be with any family member or loved one. I can even recall so many instances that my friends and I would sit in a circle discussing the traits that we would want in a significant other and wondering WHEN that person was going to just walk right into our path. We would discuss the many ways that we would show our love and talk about how different this one would be from the last. Then, we would be so hard on ourselves if a ‘situationship’ didn’t work out and really self doubt our love for ourselves and contemplate what traits we needed to fix in order to hold the attention of a potential. We often wondered why ___ didn’t love us or ____ wasn’t attracted to us or what it was that we did wrong. When in reality the only trait we needed to fix was that we weren’t falling in love with ourselves first, but trying to find love outside of ourselves. I am firm believer that you can not help anyone, can not love anyone (truly love), can not inspire anyone etc until you do these things for yourself (or at least try). As I am on this journey to self love and happiness and tranquility and all things positive, I have had setbacks with love – especially the love I have for myself. So I concocted a list of ways to begin the process of falling in love with yourself. Now keep in mind that I am a work in progress and these have been working for me – but we all are different. I suggest you all give this list a try and add on anything (positive) that will work for you. For a LONG time I was afraid of being me. In turn I couldn’t fully grasp the idea of loving myself because I was being a superficial version of myself. I tried to be the person I thought my family wanted, the person that my ‘friends’ would want to be a around and the person that I thought was deserving of a partner. Then I realized that I am a fierce, beautiful, self proclaimed weird girl, hippie chick, pro-melanin, flower child, Rasta enthusiast, artist, culture lover, natural haired, light skinned, brown eyes, spiritual being, (and much more) woman. That is my truth and I decided to live in it. And if the people in my life don’t accept that or want that or understand that truth .. that’s their problem, not mine. Now your truth doesn’t have to be ANYTHING like mine. You just have to accept it and take pride in it -whatever it is and you are already going down the right path. Now I’m not saying compromise isn’t necessary with ANYONE that you love (partner, family, friends), because it is – but when you start to compromise your self love and things that you truly believe in, maybe it’s time to take a step back and really look at the situation you are in. Don’t lose yourself trying to love someone else. Now this may just be my thing .. but writing lists makes me feel like I have my life sorted out – or like I’m getting there. I love writing lists about every and anything. As you guys can see I wrote a list about 51 things that make me happy. Just the same, I wrote a list about things that make me sad in hopes of changing those things or eliminating those things from my life. I wrote a list about places that I would love to travel to. A list about things that I need to change in my physical and spiritual life. Then I jot down ways to accomplish these things. And as I do, I feel empowered, one with my emotions, I have a sense of self and I feel like I’m taking steps to fully fall in love with myself. This may be what I struggle with most. Sometimes, I’m alone and I’m fine. Sometimes, I’m alone and I feel lonely and I HATE it.I’m trying to cut that out. I think that whenever we are alone, we need to appreciate that. Enjoy that time to just be. Write. Think (not too much lol). Read. Blog. Youtube. Watch Tv. Do Yoga. Exercise. Write a list lol. Do anything – just appreciate that time. Also take yourself on a date. Don’t worry, I’m working up the courage to take myself out, too. Find the key, your muse, your inspiration and let that help to lift you up. Love. Positivity. Seeing my end goal of happiness and self love and success in the horizon. Sometimes, I breathe, relax, cry a little and believe in and feel my goals and dreams coming to life. It is in that moment that I feel ultimate peace. Sometimes being alone is good. Sometimes being around loved ones is better. Spend time with people who TRULY get you and bring happiness, calmness, liveliness and just beautiful luminescent light into your life. You are worth the love you give to yourself. You are worth living in your truth. You are worth writing down as many lists as you need. You are worth having your alone time. You are worth feeling inspired. You are worth being around loved ones. You are worth EVERYTHING that YOU BELIEVE you are worth. So start believing that you are worth it. Stop accepting positive things into your life by saying “it’s just luck” or “omg I can’t believe that happened to me”. Believe it, it’s more than luck because YOU ARE WORTH IT. We all are. Now it might sound crazy …. but it’s not. Sometimes when I’m feeling down and nothing else is working, I walk over to my mirror. I stare at myself .. for a while, most of the times tears streaming down my face and I give myself a pep talk. If I need a hug, I wrap my arms around my waist and I give it. I look into that mirror and I give myself whatever I need because when everything else is gone, when everyone else returns to their own life … all you have is you. And that has got to be enough. The love you have for yourself .. it has to be enough. In a time like this I need some positive words to surround me and I know that I’m not alone. Whether it be a person, a thing or situation, we all have times that we just need to be surrounded by positivity and good vibes. So I wanted to give you guys that and truthfully I need to give myself that. Here are some of my favorite uplifting quotes. “Without struggle there is no progress.” The real quote by Frederick Douglass reads “If there is no struggle there is no progress” but I tend to prefer the modified version. During my times of self doubt and when I am struggling to better myself or succeed at something I try my hardest to remember this quote. This is a quote that has ALWAYS helped me push through and persevere during difficult times. “If the only tool you have is a hammer, you tend to see every problem as a nail.”This quote is by one of my favorite psychologist, Abraham Maslow. So, read it. Read it again. Let in sink in. When I first read this quote, I was taken aback. I literally stared in awe for a few minutes because it is so true. If we continue to see everything with a one sided mind or from our own perspective, we will never be able to know any other solution. Every problem we come across, we will try to solve the same way. Every disagreement, every misunderstanding .. everything! And that is no way to operate. Every situation is different. Every person is different. You have to be able to at least attempt to understand things in a different light. You have to be able to take a step back and try different tactics to handle different scenarios and that is something I had to learn. Once I learned the meaning of this quote, it helped me with future problems .. and it still helps me. “If you plan on being anything less than you are capable of being, you will probably be unhappy all the days of your life” and “A musician must make music, an artist must paint, a poet must write, if he is to be ultimately at peace with himself”. I combined these two because they essentially mean the same thing but I love both of these quotes and couldn’t pick one. What I get from these quotes is – do what makes you happy and nothing less .. or you will be unhappy! Work to your highest and best ability and don’t give up. Even if there’s turbulence along the way. Even if you have nay sayers surrounding you. Even if you feel like your best isn’t enough. Even if self doubt is getting the best of you. Keep going, keep trying and don’t give up. It is better to try and fail than to not try at all (another favorite quote of mine lol) because in you trying you are reaching the goal you were meant to. So many times I see people go into professions or do things that they don’t necessarily want to do because they are thinking about the people around them or money but in the end they turn out to be so unfulfilled and not at peace. We have to come to the conclusion that we must do what makes us happy. We have to do it for ourselves and no one else. We must live to our greatest potential and travel along that path to self love and happiness and then we will attain peace <3. “If I were dropped out of a plane into the ocean and told the nearest land was a thousand miles away, I’d still swim. And I’d despise the one who gave up.” This is another Abraham Maslow quote and I promise the last one! Lol. I adore this quote. You have to keep trying. No matter what. No matter how difficult the task. It’s that simple. That’s it. 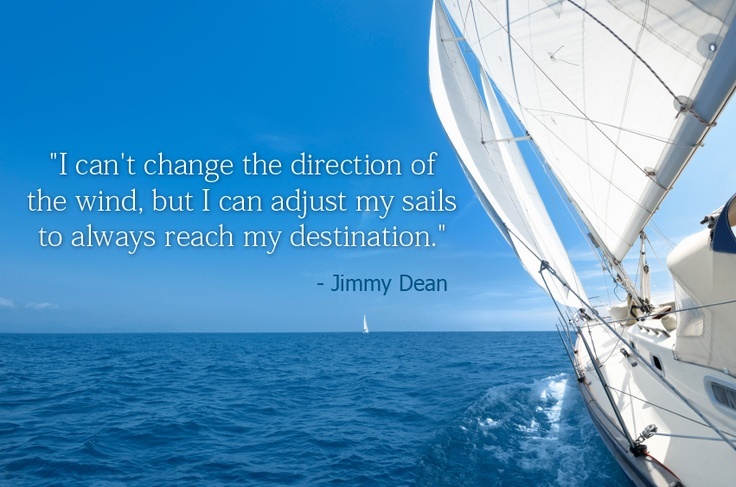 “I can’t change the direction of the wind, but I can adjust my sails to always reach my destination.” I love this quote because it’s just saying that no matter where life may take you, you have to learn to go with it and change when needed so that you meet whatever goal you have set for yourself. Throughout life, whatever goal you are pushing for, the path to that goal will very rarely go the way you expect it. There will be ups and downs, right turns and wrong ones but you have to gain the mindset that these things -everything really- happens for a reason. And that reason is to make you a better person and after facing those obstacles, reaching that goal will only be more fulfilling! “No weapon formed against you shall prosper and every tongue that rises against you in judgement shall be condemned.” I couldn’t NOT include a bible quote and to be honest this might be my favorite on this list. There was a time in my life (at a young age) that I was going through so much. One day, I was talking to my aunt over the phone and I literally broke down. She consoled me, talked to me so calm and started reading the bible. Now I am not religious (I do believe in God though) but something about the way she spoke to me helped. Before we got off the phone she told me to write something down. I got a pen and paper and she recited those words to me. Then she told me to put it on the door of my room and every night before I went to bed and every morning before I left the house to say these words. I don’t know if she even remembers that but even now before I leave the house I say those words in my head. No weapon that forms against you will prosper. Those weapons will form but if you keep your faith, work hard and stay positive they won’t prosper – they can’t. And every person that judges you or your situation can’t prosper. So stay positive and focus on that goal. Strive to achieve it and you will.